Plenty of room for your family! 3 living areas, 2 dining areas and 5 over sized bedrooms with generous closets. 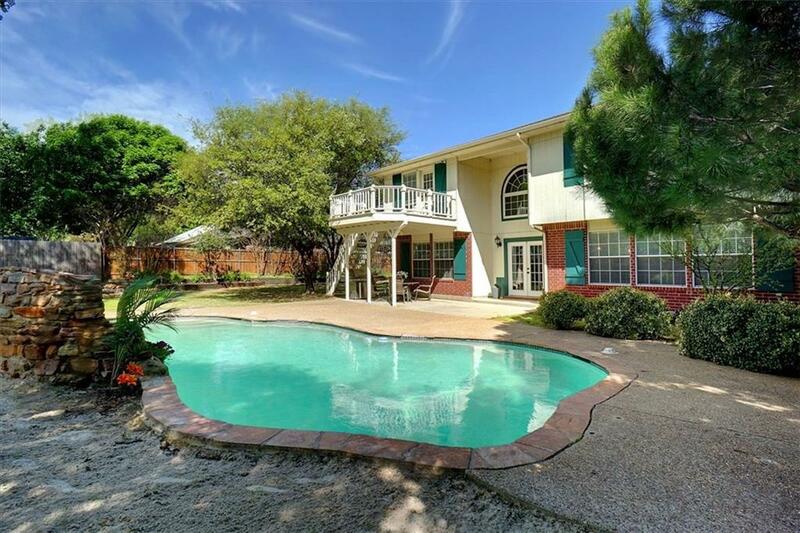 Entertaining made easy with a gorgeous pool with fountain and a huge patio area. Master bedroom has a balcony that overlooks the landscaped backyard. Master bathroom has a separate tub and shower and walk in closet. Updated appliances in the kitchen. Kitchen has breakfast bar that overlooks one of the living and dining areas. Great open floor plan. Property sits on over a quarter of an acre. Furniture in the home is for sale as well.